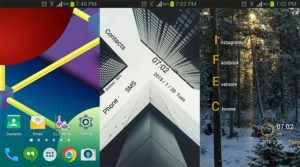 Android lets you customize your device with no limits and changing your Mi view to the stock android is no hardship at all. However, enabling yourself to access unlimited customization features that you desire, you need to install custom ROM and by that I mean rooting your device. On the other hand some of us might not be able to do that with our android devices as some are threatened by the risks involved if things went wrong while others don’t know how to. 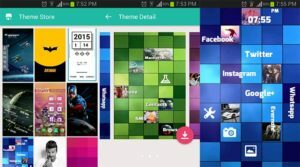 On this point, this startling application kicks in which empower android users to customize everything they see on their home screen. Indeed there is no need for root the custom ROM because Launcher Lab took matters in its own hands. Since we’re all familiar with android launchers like Nova Launcher, Go Launcher or even the Apex Launcher but Launcher Lab is different because it offers much more than that. It has the ability to renovate anything that you see on your home screen to whatsoever that you desire at all. You can transform from pure android to iOS in jiffy just by clicking on stuff. You can just install it and set it as your default home screen. Some of the home screen items are pre-provided to look stunning. Here are some of the screenshots of the home screen, check them out. The only requirement that Launcher Lab wants your device to have is the Jellybean Operating System and up. If you’re up for it then you can have a bite from the Material Design and the forever stunning Lollipop feel. The icons are altered to give a Material-feel user experience. Talking about the experience, Launcher Lab does not require a lot of RAM, hence enabling the device to keep its standard pace. The graphics are intense and with such height of customization you can add as many screens along with any color of background, adding texts and even add your own images. 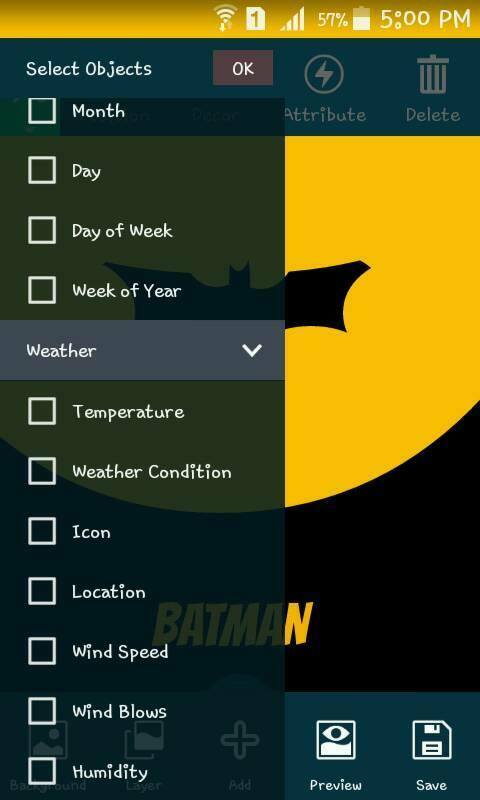 You can make a text box and assigning it to open the desired app with just a tap. You can change the font style, apply different colors and change it to any size you want; there is just no end to it. Beautifully designed temperature bars and date and time bars are present to take advantage of. Have a look at the screenies! If you’re the type of guy who doesn’t want to get through all the editing then Launcher Lab has a solution for this too. It has a theme store of its own so you can just tap and install it and Boom! It’s all on your home screen. 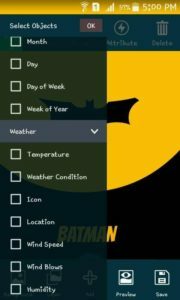 There are pretty cool themes up there; like the Batman or Captain America, it even has an app that makes your home screen look like a Windows phone. If you come up with your own set of traits in the home screen, you can upload it to make it huge. Here’s another screenshot, take a look. Having tried it myself, I’m afraid I’ll never go back and I don’t need to and probably you guys will love it too, just give it a spin. Download it Free from the Google Play Store.